Chalon-sur-Saône is a town approximately 60 kilometres south of Dijon on the River Saône. The Communal Cemetery, known as the Western Cemetery, is located behind the railway station on the Avenue Bouicicaut (D978). 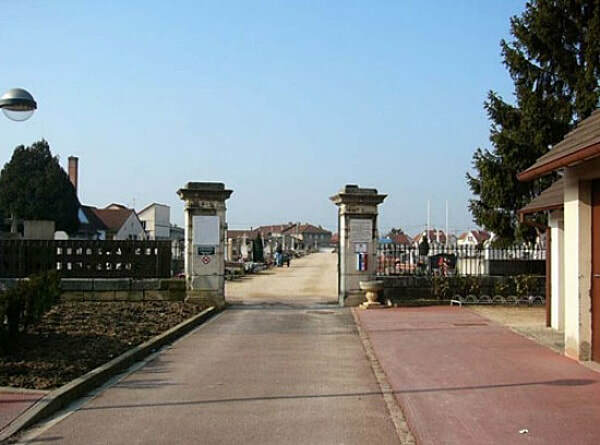 There is one 1914-1918 Commonwealth war casualty buried in Section 21 on the edge of the French Military Plot. 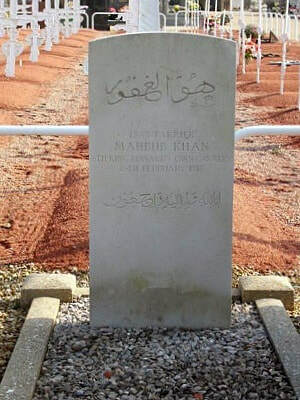 2883 Shoeing Smith Mahbub Khan, 6th King Edward's Own Cavalry, died 26th February 1918.